We have compiled a list of the best football tactics books for the casual football fan. Football tactics has become an essential part of every pre/post football match discussion. To ensure that you are not left out of the discussion,start reading up! 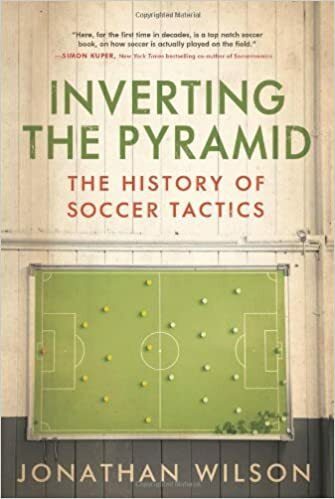 Inverting the Pyramid is a pioneering soccer book that chronicles the evolution of soccer tactics and the lives of the itinerant coaching geniuses who have spread their distinctive styles across the globe.Through Jonathan Wilson’s brilliant historical detective work we learn how the South Americans shrugged off the British colonial order to add their own finesse to the game; how the Europeans harnessed individual technique and built it into a team structure; how the game once featured five forwards up front, while now a lone striker is not uncommon. Inverting the Pyramid has become the bible for all football fans when it comes to football tactics. Jonathan Wilson’s style of writing and the timeline he covers makes it a very interesting read even for the casual fans. This book certainly is a must have for every football fan. This work is an international guide to building a style of play around the strengths of the team’s players. Two coaches of the Danish national team teach soccer’s four primary systems of play and then break down the different strategies, tactics and styles of play that can be used to counter every kind of opponent. Coaches can choose from attacking and defensive styles within each primary system, depending on the players and the conditions within the game. It also shows coaches how to benefit from the classic systems of the international soccer powers, including the Latin, British, Norwegian, South American and African styles of play. After coaches determine the optimal system and style for their teams, they will learn how to counter opponents’ tactics and how to teach their chosen system, style and tactics through practice instruction and drills. The book includes detailed diagrams and plans of action for implementing the systems, styles and tactics. 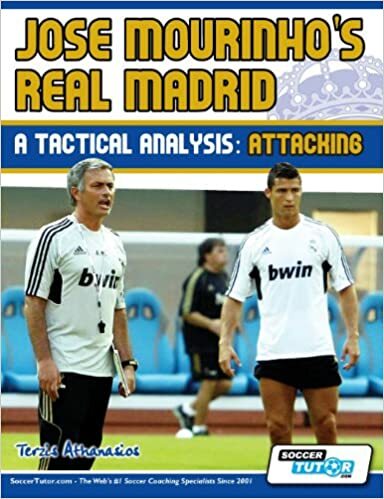 This book along with the second part give the reader a full analysis of Real Madrid’s attacking and defending tactics which have been so important to their success under Jose Mourinho. They scored 121 goals in La Liga and this book shows Real’s 4-2-3-1 system of play, each player’s responsibilities, positioning and movement within every possible phase of play. Although Mourinho’s Real were always under the shadow of Pep’s Barca,they were easily one of the best counterattacking teams in this era. 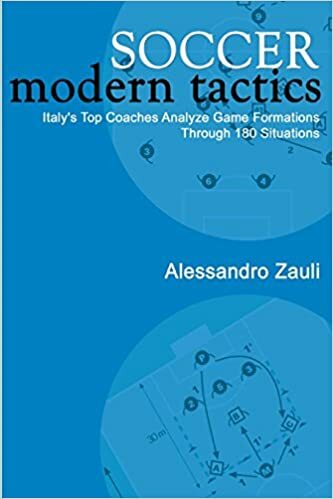 A comprehensive look at modern zone formations through the eyes of the author and ten high level professional Italian coaches. 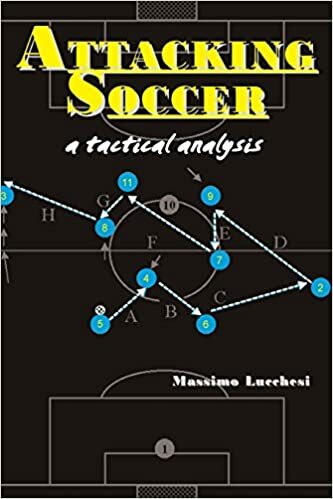 Arrigo Sacchi (Milan, Italian National Team), Marcello Lippi (Napoli, Inter, Juventus), Walter Novellino (Venezia, Napoli, Piacenza), Carlo Ancelotti (Parma, Juventus) and Renzo Ulivieri (Parma) are among the impressive list of contributors to this valuable coaching reference. 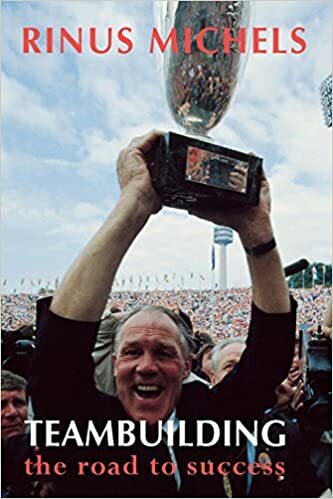 The late Rinus Michels, FIFA’s Coach of the Century, offers his unique insight into the process of “teambuilding”. All the chapters are interspersed with examples from Michels’ personal experiences as a trainer. At the same time he gives a reference framework for everyone who is, on a daily basis, involved with the team building process: from professional and youth coaches to managers in the business world. Because of these unique examples, most of which were never published, this will be a fascinating book for anyone involved in a team building process. Revealing the secret science that lies behind “the beautiful game,” from international team formations to the psychology of the pitch and the changing room, Ken Bray describes the influences that impact upon play. He answers many of football’s hottest questions: what is the perfect way to take a free kick? Which players are under more stress; attackers, midfield, or defenders? How do we know when a ball has crossed the goal-line? And, how can teams win a penalty shoot out? 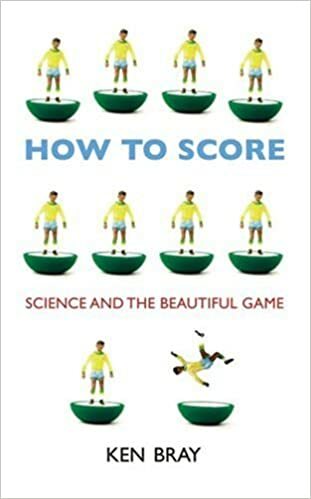 Analyzing many of the most memorable games of the last 50 years and the tactics of our favorite international and local footballers, this book also touches on big scientific themes such as aerodynamics, computer simulation, and game analysis, via a brief journey into football’s history. Drawing on the latest research from the fields of physics, biology, physiology, computing, and psychology, football’s hidden rules are illuminated like never before. This book examines match strategies for creating goal scoring opportunities out of various systems of play. 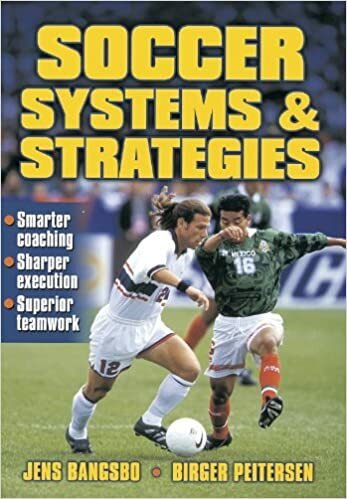 For each system, the author discusses the strategy, tactics, system and schemes of play as well as the technical, tactical and physical characteristics of the players who use the system. Several situational attacking schemes are also presented using clear diagrams and detailed descriptions. Head over to Football Tactics for Beginners to learn about football tactics for free! If you feel we missed out on a book,please let us know in the comments. If you are an author/publisher and want us to consider your book for this list,please contact us here. Can anyone share a tactics book or some tactical ideas for good formations to implement with younger players just starting out playing on a full pitch? 11 a side? I am coaching U13 girls of a medium skill level. Please tweet response to @mike7yano. Thank you!